When most people think of garnets, they think of the red stone. These are more common and usually not too expensive. But there are many different types of garnet, some which are rare and valuable. They can range from an intense orange to green in color. 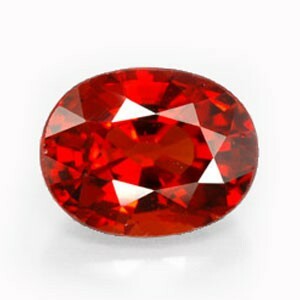 Garnets are cut faceted or “en cabouchon”. Pyrope garnets, are usually red, sometimes with a hint of brown. They get their name from the Greek word for “fiery” – pyrope. Pyrope gemstones can be an intense “red” and lively, and can be expensive. Especially larger stones which keep their intense red colour. 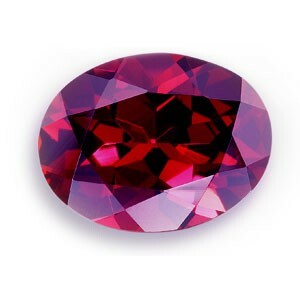 Within the pyrope group, there are Rhodolite gemstones, which are a deep “mulberry” colour. These can be quite pricey, especially large clear stones. Did you know that the garnet is one of the oldest gemstones known to mankind? Evidence points to these stones in use during the bronze age. The discovery of a necklace of garnet beads around the neck of a young man dating back to 3000 BC proves that. Another fascinating factoid is that its name in latin – “Garanatus” – references a pomegranate seed. How perfectly apt! A pomegranate seed with its clear red juicy flesh is a good comparison. This bright little gemstone has been in use in all sorts of ways through the centuries. For example, the Bohemians decorated their castles and churches with garnet. Bohemia, now the Czech Republic, was once the centre for the mining and processing of garnet gems. Almandine garnets are more like the colour of red wine – red with a blue tint. Almandines are usually not expensive if the stones are small. Spessartites go from a red-brown colour to an intense orange. 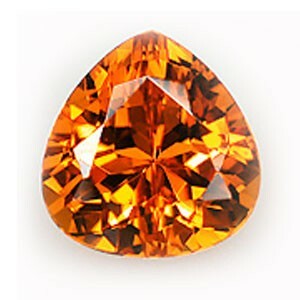 The intense orange Spessartites are quite expensive and is often confused with hessonite. 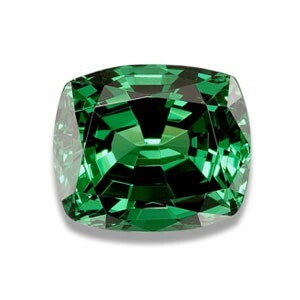 Grossular Garnets, more commonly known as Tsavorites are a fiery electric emerald green colour. These are not usually found in large stones, usually under half a carat is most common. It is sourced in Kenya and Tanzania. 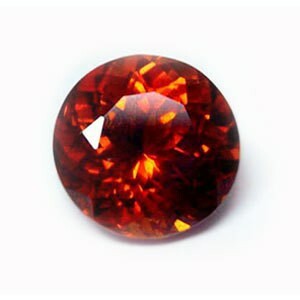 Hessonites are also known as the “cinnamon stone” for it’s orange-brown colour. They are easily confused with spessartite, but has a slight difference in chemical composition. 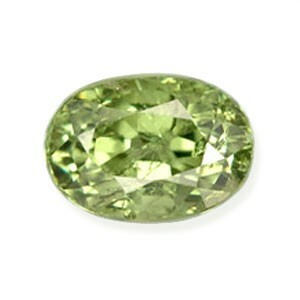 Demantoid garnets have a lemon yellow and green colour, with an intense diamond-like “fire”. Hence the name demantoid or “diamond like”. They are softer than other garnets (about 6,5-7 on the hardness scale) and are more valuable. It is quite rare to find large demantoid stones. They are often confused with emeralds, but it’s fire is a distinguishing factor. It is not a popular stone, possibly because it is not a well-liked colour. Most people would choose a peridot or the green tsavorite over a demantoid. Demantoid gemstones come from Namibia and Russia. The Almandine is more like the colour of red wine – red with a blue tint. These are not always expensive, especially the small stones. Spessartites range from a red-brown colour to an intense orange. 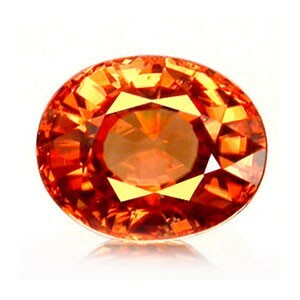 The intense orange is quite expensive and often confused with hessonite. Demantoids are a lemon yellow to green colour, with an intense “fire”. This is why they are named demantoid – “diamond like”. The most valuable of the garnets. Hessonites are known as the “cinnamon stone”. It is orange-brown in colour. It is often confused with spessartite, but has a different chemical composition. Grossular Garnets or Tsavorite, has an electric emerald green colour. It is not usually found in large stones – under half a carat is common. It is found in Kenya and Tanzania. Rhodolites are the most intense “mulberry” colour. These can be quite pricey, especially large clear stones.